On April 26, 2018 our third REVIV Flagship location on the Las Vegas strip opens at The Cosmopolitan of Las Vegas joining our existing Flagship locations at MGM Grand Hotel & Casino and The Venetian® | The Palazzo®. Our Cosmopolitan location is the largest REVIV Las Vegas Flagship Spa to date in terms of square footage featuring 5 relaxing IV Infusion private rooms, 3 of which can accommodate 2 people and an oversized group area with views of Las Vegas Boulevard. Our IV Therapies have a wide range of wellness solutions for Las Vegas visitors and locals. 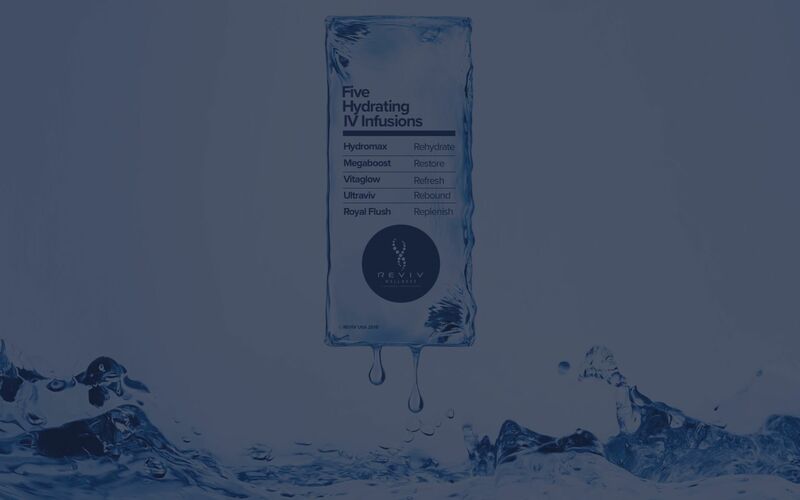 Hydromax is a quick way to rehydrate, Megaboost is our signature Vitamin Infusion, Vitaglow is Anti-Aging Infusion with a high dose of Glutathione and Vitamin C, Ultraviv is a recovery Infusion for that classic Las Vegas hangover and Royal Flush is our deluxe Infusion combining the wellness and recovery benefits of Ultraviv, Megaboost and Vitaglow. A Glutathione add-on push is available with any of our IV Infusions. REVIV Vitamin & Nutrient Booster Injections range from Vitamin B12 for a lasting boost of natural energy, Glutathione for detoxification, Slimboost® for metabolic weight loss assistance and CoQ10+ for fitness enthusiasts. REVIV at The Cosmopolitan is located in the Boulevard Tower, Level 2 near the entrance to Marquee Nightclub and Dayclub. Hours: Open 7 Days a week from 9am to 10pm.